At first, moving your data center may seem like a straightforward relocation from one facility—whether it be a new, owner-operated location or a colocation—to another. However, the reality is that a data center move is a difficult and complex project that requires significant preparation and communication—even before the move takes place. Moving a data center can be daunting for even the most experienced data center professionals. While you may not be able to think of every contingency, you can avoid many of the challenges you will face during the move through careful planning. 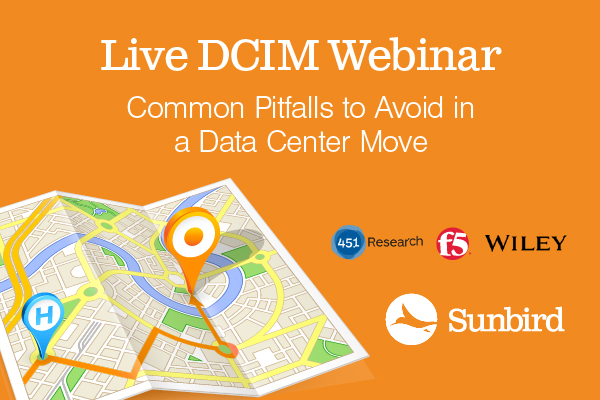 Not sure how to plan your data center move? Start by thinking about your answers to these five key questions. Whether you are using a Data Center Infrastructure Management (DCIM) solution to track your inventory or managing your assets in an Excel spreadsheet, knowing both what you have and what you are going to move underlies many of the decisions you will make about the move and therefore is one of the first things you should determine. Are you bringing everything or only some assets? Will you use all of your existing assets or purchase replacements? Can you remove abandoned or ghost servers? Who owns the assets and the associated applications? How will you move your assets? Will everything be moved at once? What impact will downtime from the move have on your internal and external customers? 2. What do you know about your data center network connections? Once you know which assets you will be moving to your new data center, you need to consider how your assets are physically connected, which will help you plan the layout of your data center from a hardware and cabling perspective. Is there a cabling inventory system already in place? Who is responsible for tracking network and power connections? Do you know which assets are connected and how? How far up and down the power/network chain can you trace? 3. How much space and power do you need? Knowing what you plan to move and understanding how your assets are connected, combined with estimates based on budgeted and actual power readings, will help you determine how much space and power you need. Also, consider not only your current needs but also forecasted growth and demand for future resources. Will all of your assets fit in the new location, with room to grow? Will the space and power in your data center scale to your needs? Will you be able to restructure to deal with power hogs? Can you handle failover conditions? Are you using iPDUs or other hardware that can help with capacity planning and energy efficiency to achieve higher ROI in your new data center? 4. How will you monitor buildout progress in the new location? Chances are that you won’t always be physically present in your new data center, so you will need a way to ensure that the moves, adds, and changes in your data center progress on time and on budget. How do you confirm that your assets are placed where you want them? Can you automate any of the work? How do you limit the potential for human error with your change requests? How do you ensure that the inventory and associated records are kept up to date? 5. How will you measure success (immediately after the move and in the future)? Initially, just having everything installed, documented, and tested in your new data center may seem like a triumph in itself. However, long-term as well as short-term successes are important to justify the move. What data will you need to forecast power, capacity, and other resources accurately? What reporting mechanisms are in place? What metrics will you track? Is the data easily available? The intricacies of moving a data center can complicate the planning stage, leading to wasted time and unexpected difficulties during the actual implementation. Answering these key questions can help you focus on the most critical components of relocating your data center and making your move a success.